Once they're betrothed, the training begins. Marriage Training arrives May 14th. Gabriel, Earl of Cranborne, is in need of a wife--preferably a sweet, submissive, well-trained wife who could run his household during the day and obey him in the bedroom at night. When he meets Miss Vivian Stafford at a friend's wedding, he finds himself drawn in by the exact traits he was looking for in his own wife and immediately moves to make her his own. Once the betrothal papers are signed, he arranges for her to attend Mrs. Cunningham's Finishing School. This very special school will prepare her to be the wife of an Earl . . . and also prepare for her the very specific demands and discipline she'll receive from her new husband at night. It's been a while since I've rambled! Baby brain is real! I love my Little Fuss but man does my brain not work the way it used to. My writing has slowed down a little bit because of that and so I already know I'm not going to manage to do all the books that I wanted to this year but I'm going to do my best. I'm also just a little over a month away from my first ever traditionally published book! What's the diff between Marriage Training and my other books? Well, it's being done through a publisher instead of on my own =) Cleis Press is the largest independent sexuality publisher in the US and have TONS of fantastic books available for all sexual preferences. I'm thrilled to be working with them and I'm definitely hoping to do more in the future! I *almost* feel like a real author now lol. I always thought having a traditionally published book would do it, and it turns out... it almost does. As for my indie stuff... *sigh* I have so much I want to do this year. I'm super excited I managed to get both Polar Bear and Honey Badger out so far. My brain is a little like "OMG what did you make me do?!" but hey - I got them done! 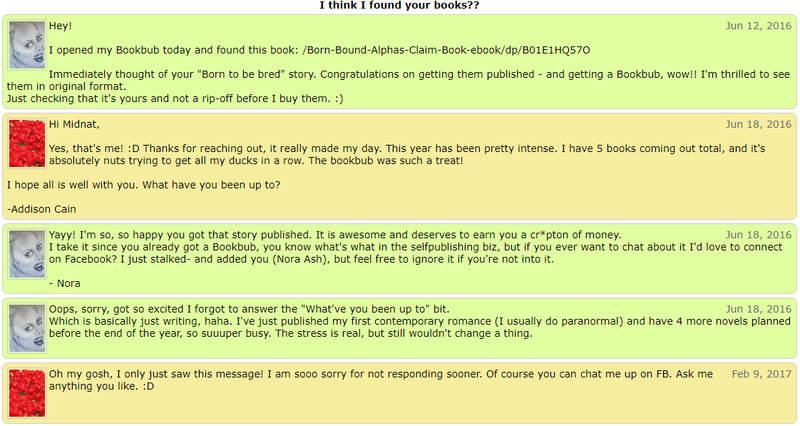 And thank goodness for beta readers, because they kept me from going totally off the rails. I have tons of self-doubt post-baby, because I can tell my brain isn't quite working on the level that it was pre-baby (and pre-pregnancy) and so I keep freaking out about stuff that I never worried about before. So that's fun. Lee and I are also going to try to get the second Tsenturion Masters book out at some point. Ya'll... I have issues. LOL. 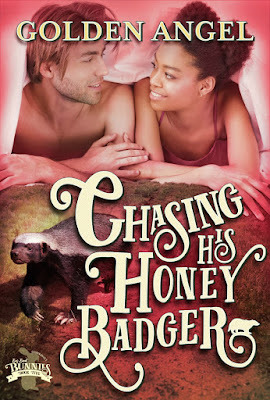 Chasing His Honey Badger is LIVE!!! What's a sassy shifter to do when there's no way to know who her fated mate is? Why am I doing another blog about this? Several reasons. Firstly, I knew I was going to need to do another blog - the first one was rushed. I don't regret that because in an age of immediacy where everyone wants answers right now, I wanted to get some kind of response up as quickly as possible when it became clear that there were a lot of questions about what was going on as well as misinformation flying around. But I also knew a more thorough one would be needed eventually. A reader / reviewer / blogger has also done a blog about the misinformation going around about this topic. Also, Courtney Milan did a twitter breakdown of my previous blog, proving to me the need for a longer, more in depth one (and with better visuals, because I failed on demonstrating the point I was trying to make), so I very much appreciated that. She also did a twitter thread later breaking down some of what I'm going to talk about here, because of the misinformation she saw happening on twitter. This is an important case, as it concerns both copyright laws and DMCAs. If someone has infringed on a copyright and then turned around and sued the original creator for sending a DMCA - that's a big deal. If someone has not infringed on a copyright and yet had their work taken down due to a DMCA and suffered monetary loss, that's a big deal. So it's worth talking about - these things could potentially affect all authors. And lastly, there was a lot of information I didn't even get a chance to touch in that blog. Fair warning - this is going to be a LONG post. There is a LOT to unpack. My goal is to keep things factual but make sure everyone has ALL the information that was made available to me, so that everyone can judge for themselves based on the merits of the evidence. I'm including my personal opinion on a few things, but you do not have to agree with me and might very well come to a different conclusion than I did. Also - general disclaimer - I am NOT a lawyer. 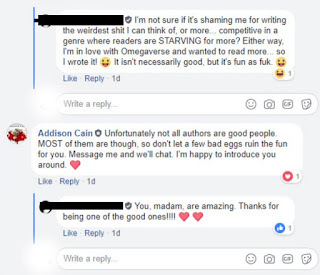 First things first because we need to get the context of what we're talking about and why it's important to ALL authors, not just Addison Cain and Zoey Ellis. 1. This one says that the ideas and facts of a source are not copyright protected, but "the selection and arrangement of ideas and is generally protected" and that "You could not use that same set of facts in that same order without infringing the sources natural copyright, just as if you had copied its exact wording." Because it's talking about facts I think the person may be referring to non-fiction, but it still seems applicable. 2. This one specifically deals with the question "How closely can my novel follow the plot of a copywrited novel, without infringement?" Joshua Michael Masur, an Intellectual Property Law Attorney answers: "The answer is... it depends. But we can at least pin down the issue by name: This is a question often referred to as "substantial similarity," or "nonliteral copying." 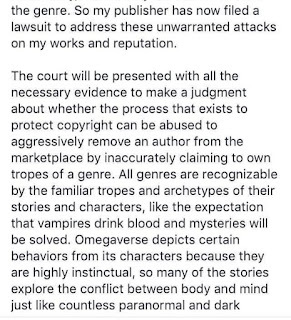 So looking at what you've written, those are such broad strokes that I would expect any US court to hold that it does not infringe JK Rowling's copyrights. Then again, if you were to keep to the outlines of what you describe, but were to divide and sequence the chapters precisely as JK Rowling did, I wouldn't be surprised if the court went the other way." Pamela Koslyn, Intellectual Property Law Attorney answers: "Basically, courts will look at the total look and feel of two works, and compare how "substantially similar" they are. The entire work is considered, but its unprotectable elements get disregarded. Disregarded elements include themes, ideas, facts, and obligatory to the genre or cliche scenes , called "scenes a faire," such as doomed young lovers, with a scene of angry parents forbidding the love. The original creative elements, such as tone, setting, dialogue, characters, pace, etc. etc. are compared point by point, and if enough of them align, there's infringment, especially if you can also show access to the work. Where access is obvious because, in your example, "Harry Potter" is a famous published work, then the standards for similarity are lower, and where the access is questionable, more similarity is required to find infringement. Plot points, or "beats" in tv-speak, are among the creative elements that can be infringed, so it's not true that plots aren't part of a what's protected in a work's copyright. Could you systematically change every aspect of a work to copy it, without actually copying any of its elements? Yes, because at that point it would be original. But if you simply mimic the plot points by making superficial changes as in your example so it's still completely recognizable as the original, you'd fool no one and get sued for infringement by the rightsholder." This aligns closely with Courtney Milan's tweets about this ad for someone to help 'remove plagiarism' from their book. Presumably that person posting the ad is either #copypastecris or someone like her, and they want the directly lifted lines of text in their work to be changed up so that it's no longer plagiarism that can easily be found by a computer. Will this work or will she still be guilty of copyright infringement? Well the sources I found seem to indicate the latter unless she changes the works substantially. I think anyone who has read Courtney Milan's Duchess Wars will be able to figure out that they're reading it all over again, even if each scene has been rewritten. 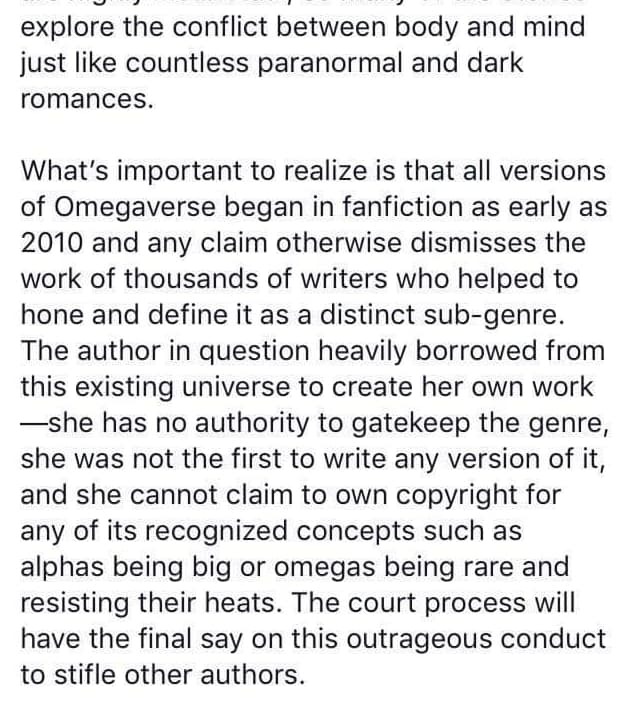 This is also the issue being brought up by the Omegaverse DCMAs and lawsuits. There's a lot of misinformation being flung around about the lawsuit happening, so I'm going use Courtney Milan's tweet about the timeline for now, and I'll get more into detailing the full timeline later in the post. 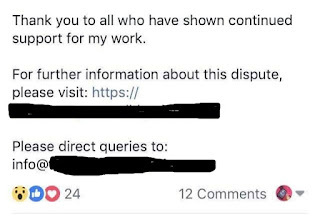 If you're wondering why I keep referencing Courtney Milan's tweets, it's because I know Romancelandia (including myself) looks to her for help with the legal stuff and also because, as a friend of Addison, I don't want anyone to have to take my word for everything. I want everything I say to be backed up by either someone else or actual evidence that I can present. Let's start with the DCMA, since it is what kicked off everything on the legal side of things. While we don't have access to the original DMCAs, there is one included as Exhibit 4 in the lawsuit that Zoey Ellis brought against Addison Cain. If you don't know what a DMCA is here's a handy link, but a brief summary is that it you can ask an online provider to remove content that is yours but has been uploaded to their website / server without your permission. Copyright law DOES NOT require a copyright to be registered in order to process the take down (and I highly recommend that writers, artists, etc. check out the link I provided so that you know your rights). The DMCA provided in the exhibit is for the 3rd book in Zoey Ellis' series, but it looks as though the information in it was copied and pasted from the original two DMCAs as all of the examples are from the first book. Blushing Books Publications filed the DMCAs to protect their copyright of the books written by Addison Cain - the DMCA alleges that since the first two of Zoey Ellis' books follow Addison's, that they presume the third one will as well and are therefore filing before it is actually published. 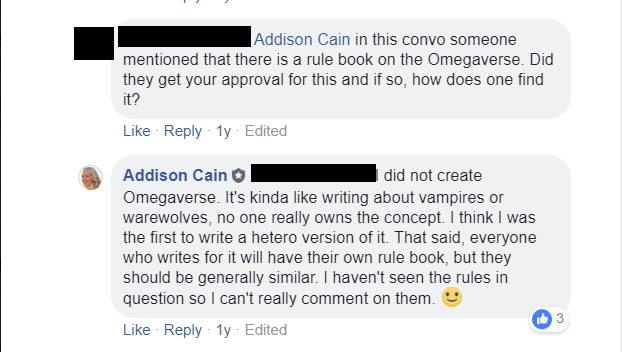 No where in the DMCA does Blushing Books make the claim that Addison Cain created any kind of Omegaverse or that they or she hold the rights to the Omegaverse or any of its tropes. Since that's the biggest piece of misinformation flying around, I want to make that clear up front. We ARE going to get to that whole thing later in this blog, because it is part of the lawsuit, but it's NOT part of the DMCA take down notice that was filed. So what did the DMCA allege? That there are "similarities in plot and action that take place between the hero and the heroine. There are certain scenes in the book that are almost identical to Addison's book... she has taken Addison's sentences and paraphrased them and written a book of her 'own'" - if you look at the Exhibit, Blushing Books provides a selection of sentence / line comparisons as well as plot similarities. This, to me, looks exactly like the description of nonliteral copying / substantial similarities. 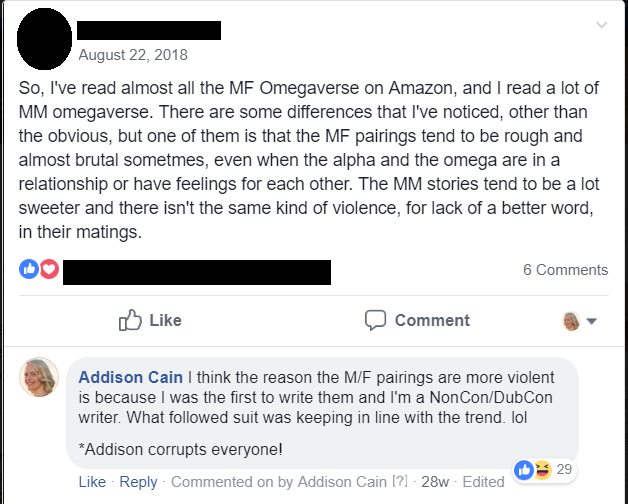 Now, my personal experience with omegaverse was all light and fluffy until I discovered Addison Cain's books. I read omegaverse exclusively on Amazon. So while my knee jerk reaction was to say "Really? They're that common and they always happen in this EXACT order?" But who knows, maybe I was wrong. 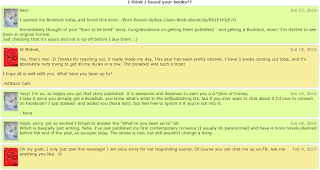 I will freely admit, I discovered I am not great at navigating the fanfic sites. If you're reading this and you think "She missed such and such story and it fits all those beats perfectly or really close to perfectly!" - please send me the link! Leave it in a comment! I will be happy to add it to my analysis. I had trouble, in general, finding dark omegaverse that included enough of what I was told were common tropes within them to compare Addison and Zoey's work to. Omegas or even both Alphas and omegas using heat suppressants were common enough - having that suppressant break in a crowded area was less common. Having the omega pretending to be NOT an omega was also not as common as I was expecting. There was far more of omegas using suppressants just to control their heat and everyone being okay with it. Or it even being mandated that they do so. So I stand by my statement in my last blog that using the heat suppressant to hide their omega nature is just not that common. Yes, I'm sure people can find examples of it, I'm saying it's not common, not that it's impossible to find. The omega being kept in one room, day in and day out, seeing no one but their alpha was something else that I was told was pretty common but, again, which I couldn't find a lot of. Finding it in conjunction with the heat suppressants... yowza. So let's get into what I could find since we're looking for similarities. 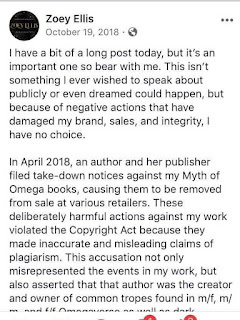 Blushing Books maintains that Zoey Ellis' story is too similar to the book they published and that's what they cite as their reason for filing the DMCA after all. I started with the 'inciting incident' in each book (which is also the very beginning of Addison's book) - the Alpha noticing the Omega, whether because heat suppressants broke or for some other reason (after realizing heat suppressants breaking was not as common as I thought it would be, I didn't want to disqualify any books that might follow a similar plot story just because it didn't have that one trope). For Crave to Conquer, the inciting incident occurs at about 32% on my Kindle, so there was a decent amount of book prior to that which did not include any of Addison's beats. I've broken down the plots for each of this online stories / books. I started with Addison's and color coded all of her beats so it would be obvious where her content shows up in other stories / books. So that we can compare Addison AND Zoey's work to the other stories / books simultaneously, I've put Zoey's book to the right of Addison's on each of these breakdowns so we can see how Crave to Conquer measures up to Born to Be Bound in comparison with the other omegaverse stories. To be clear - the beats listed here are not the total sum of plot beat / sequence similarities between the two books. They are just what I can fit into a screen shot and so I didn't bother to continue because I feel as though one graphic, following the 'inciting incident' and showing the scene progression from that point, speaks for itself (this happens and then this happens and then this happens) to see if this exact scene sequence is really that common. Then I looked for dark MM on Amazon (thank you to the readers and authors who sent me suggestions when I requested it). Again, I looked for the ones that seemed closest to having the same tropes / content, but if you feel I've missed one PLEASE let me know and I will be happy to add it. Also, please note - I stopped analysis early on some of these because they so clearly did not match up, but don't take that as a judgment on the book itself, they're good books and I will likely go back and finish all of them now that I'm not using them for research. Then I went for the MF books on Amazon. This is where I figured the real test would lie, since a lot of these authors were influenced by Addison's writings (as expressed in their Amazon blurbs or by their own words - we'll get to that second part later in the blog). In particular, when looking through Omegaverse reader comments, quite a few of them pointed me toward Omega's Capture by Lillian Sable because they felt that she may have infringed on Addison's world as well. If you don't feel like zooming in on the graphic, I put hers right next to Ellis'. Now, are the scenes in Crave to Conquer written differently than the scenes in Bound to be Broken? Absolutely, yes. Zoey Ellis did her own take on each of the scenes. But the plot similarities and the almost identical plot structure from that inciting incident is just not common. From this conversation Zoey had with Addison (which is part what is being turned over next week due to a subpoena) we can see that Zoey has definitely read BTBB. With her love for the book, and the fact that most of us don't know much about substantial similarities and nonliteral copying, she maybe not have realized that she was infringing at the time the book was written. Most of us think of plagiarism as direct copying, whereas she did create her own fantasy world and within her scenes there is much less violence and more use of traditional romance elements. But I find it hard to look at the how the breakdown of scenes, especially when compared to other works containing the same elements, and think that CTC was not heavily influenced by BTBB. The lawsuit is filed by Zoey Ellis against Blushing Books Publishing and Addison Cain. - Point #58 states that Blushing Books and Addison attempted to manipulate reviews and use the same technique to solicit negative reviews of Crave to Conquer. What is up-voting? Well if it's against terms of service or illegal, a lot of authors I know are in trouble. It's something that is very common within indie circles. If a horribly negative review is showing as the very first review on a book's page on Amazon, the only way to move it away from being in that top slot is to have it either marked as 'unhelpful' or another review marked as 'helpful' enough times that its position on the page moves. Authors want their book to put its best foot forward on its page. 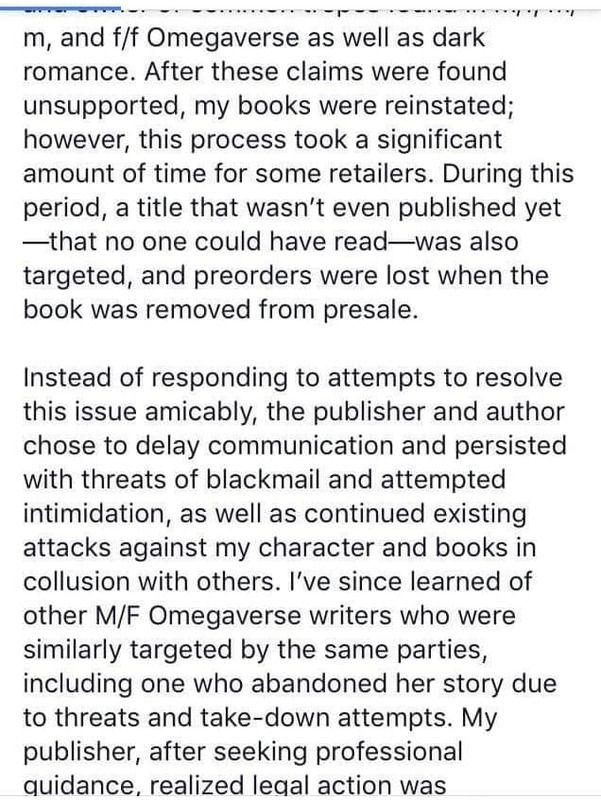 As far as I know, this is not in violation of industry guidelines, as asserted by the lawsuit, although I will say I could be wrong... but letting readers know that an unfavorable review is at the top of your book's page and asking them to help with votes is totally normal from what I've observed among indie authors. Although Amazon's TOS are provided in Exhibit 10, I can't find anything that would indicate up-voting violates them. If it is something that isn't allowed, can someone let me know so I can update this section? Because upvoting and downvoting in no way affects the reviews - they remain on the book forever - just their positioning on the page, I can't agree with the lawsuit's assertion that Addison is "attempting to drown out other people's opinions". When it comes to review manipulation, I went and checked out the reviews on Amazon and Goodreads for both BTBB and CTC on March 14, 2019. Amazon - 224 reviews total, 11 (5%) are one star reviews and 7 (3%) are two star reviews. Of those 11 one-star reviews, 7 were made after April 2018 (when all the legal stuff started) and only one mentions Addison's books. None of the two star reviews mention Addison Cain. The ratings on Goodreads broke down to 4% rating it a 1 star (including one reviewer who seems confused about the starring system because the actual review states that they loved the book) and 7% two star ratings. Compare this to Addison's 6% of one star reviews and 3% of two star reviews on Amazon for BTBB, and 5% of one star reviews and 6% of two star reviews on Goodreads - basically, they have about the same percentages of low reviews. I figured percentages were better to look at than numbers, since BTBB has been out for much longer and therefore has waaaaaaay more reviews than CTC. - Exhibit 9 is presented as evidence of Addison's Online Posts Targeting Plaintiff's Publications and there's only one piece of evidence where Addison references other authors (in general, no names anywhere) in a negative manner at all. I'm not entirely sure how this is construed as targeting Zoey Ellis' publications, so I don't really have anything to say on this one. - Point 63 is something that is not very important to the legal case, since it is NOT part of Blushing Books' DMCA takedown notices, but it is very important to rumors, etc. that have been making the rounds on the internet. This is the very first time that there is any mention of Addison 'owning' or 'creating' MF Omegaverse. 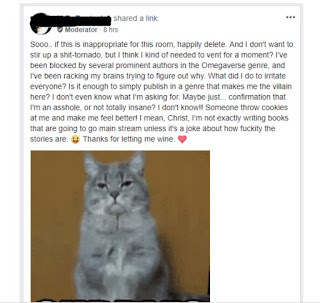 It asserts that Addison "claims on social media that anyone who writes in the male/female omegaverse is copying her and asserts ownership of the genre stating 'she was the one who created the male/female genre'." I want to be clear - this assertion has nothing to do with the notices Blushing Books filed against Crave to Conquer or the reasons it gave for those notices, it is something that was introduced as part of Zoey Ellis' lawsuit against Blushing Books and Addison Cain. 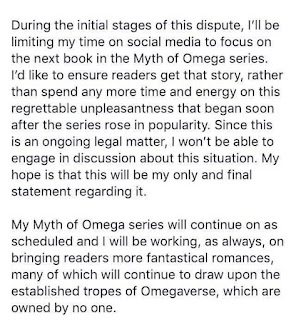 This also seems to be the biggest item of concern / misinformation spreading throughout the fanfic community (understandably), so let's dig into it for a minute. First of all, the vast majority of Addison's readers who interact with her on social media will be happy to tell you that Addison consistently says she does not own the omegaverse and that she says she thinks she was the first to write a book with an MF pairing as the main characters. In fact, she's constantly explaining / correcting readers who do think she created the Omegaverse. 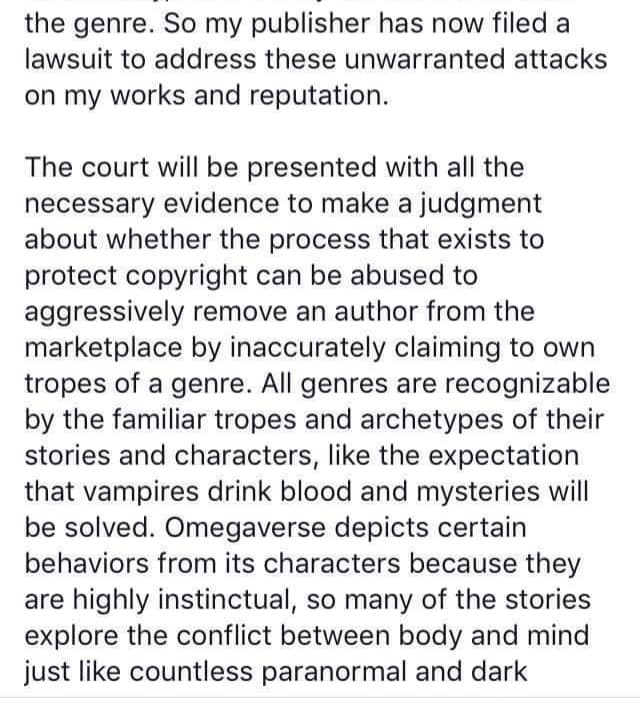 The lawsuit offers Exhibit 13, a professor's statement about Omegaverse, as proof that there are "thousands of stories in Omegaverse fan fictions that depict male/female pairings" - while that is true, from what I've seen of the fanfic (and please, someone, correct me if I'm wrong), the majority of the online stories focus on MM characters even though there are MF side character pairings. That was the impression I always received and certainly what it looked like when I was searching for Omegaverse books to compare CtC and BTBB. 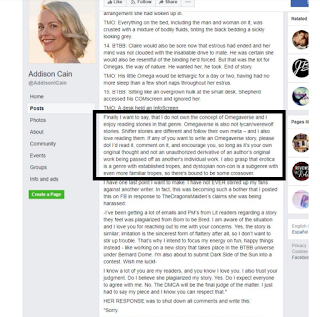 The screenshot of Addison's statement that she "was the first to write them" is taken out of context as she was responding to a question that was asked specifically about works published on Amazon. This question was asked in 2018, which means that BTBB had been published 4 years prior. 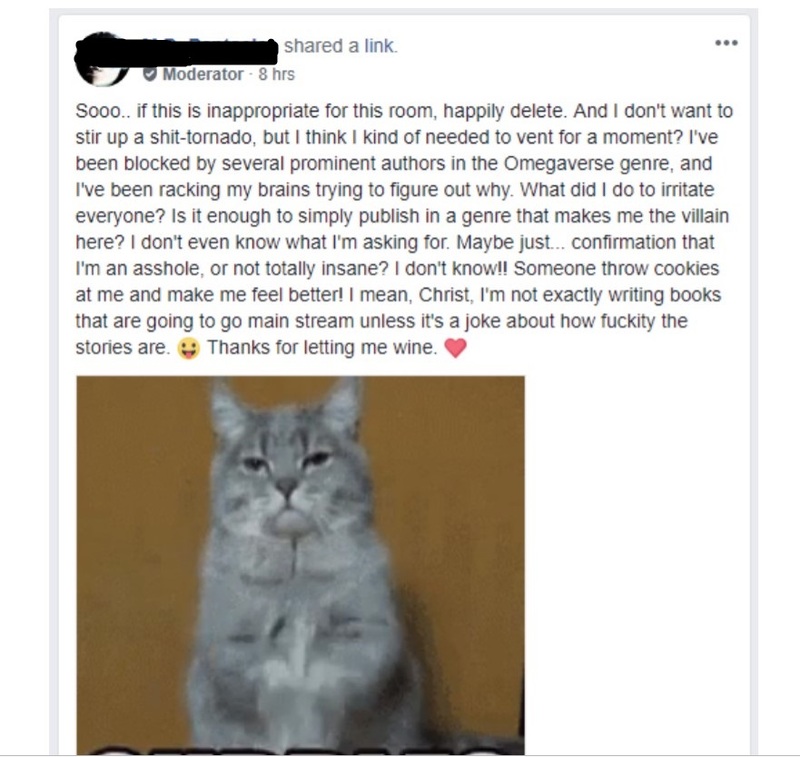 After four years of saying she thinks she was the first to publish an MF Omegaverse book and not having anyone tell her differently, I would hope that it's understandable to most people that she would start leaving off the disclaimer, especially when speaking to a reader she's comfortable with (Between the Pages has stated she's the one who asked the question in her blog about this). 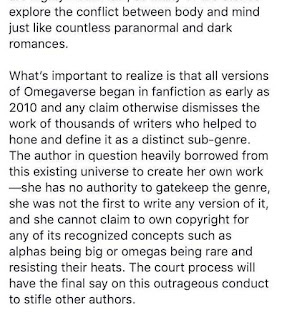 The lawsuit alleges that there is an MF Omegaverse book published prior to BTBB. The only link available is through goodreads as the book was taken down at some point and republished by the author. Alpha: Taken by Nora Ash is also one of the books I looked at in the MF comparisons above. While the original book shows up on one goodreads shelf labeled "Omegaverse" the actual blurb for the original book does not indicate it is Omegaverse. 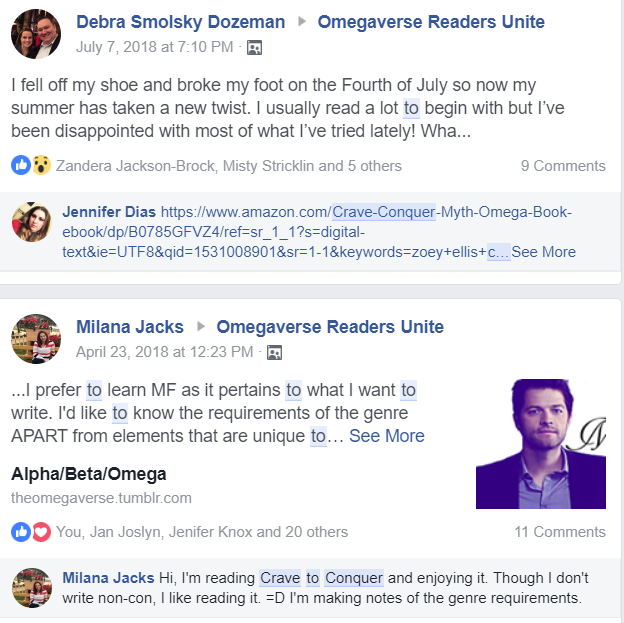 It is by an author who now writes a lot of Omegaverse so we can assume it had at least some of the characteristics of Omegaverse. From the original blurb, however, I don't think anyone would assume that it was Omegaverse. 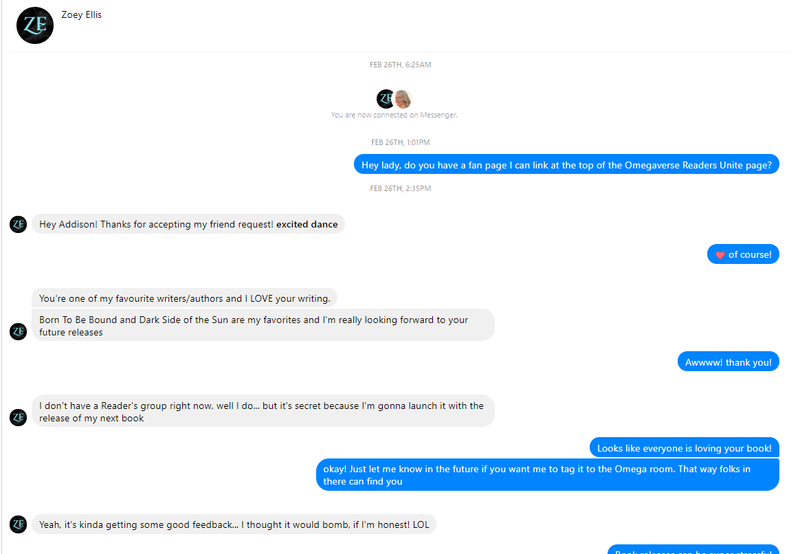 Since Nora and Addison were acquaintances by the time Addison released BTBB and Nora contacted her at that time (see screenshot below), I can only assume that at that time Taken in its original format was already no longer available for sale or she would have mentioned it to Addison. Since the author of that work did not do so, it's easy for me to imagine why Addison would not have known about it. In the lawsuit, Exhibit 16, a screen shot of Addison's Facebook post about being plagiarized previously is provided. In that post, Addison also makes clear that she does not own Omegaverse nor does she lay claim to owning Omegaverse. Why the lawsuit alleges that she makes that claim and that it's integral to the DMCAs that were sent (even thought it wasn't) but then also provides evidence that she does NOT make that claim is unclear. 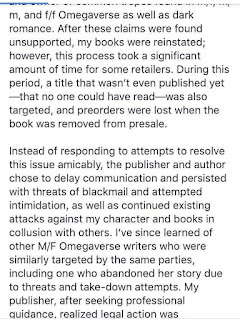 Addison made a joke about corrupting people that didn't include a disclaimer that, after four years and no one mentioning the one other book that the lawsuit was able to find, probably felt unnecessary to keep tagging on constantly. It can easily happen when in a relaxed setting and just having fun and answering reader's questions. I hope that this clears up what she actually said, its context, and its irrelevance to the DCMAs filed. Now, because this is actually a side issue that has nothing to do with the lawsuit, since none of the documents filed by Blushing Books makes that claim, let's get back to the legal stuff. The breakdown of the plot points is above. Additionally, a reminder, Blushing Books' assertion on the similarities can be found in Exhibit 4 of the lawsuit. Zoey Ellis' assertion of how she feels the books are different can be found starting on Page 9 of the lawsuit. If you don't feel like reading through all the legal documents and are okay just going with my summary - Blushing lists out the plot and trope similarities it sees between the books as well as instances where they feel Addison's lines have been reworded. Zoey Ellis says that Blushing's assertions of similarities were all taken out of context, points out how her book is different with less violence and more traditional romance (true), and that she set hers in a fantasy world and not post apocalyptic (also true). 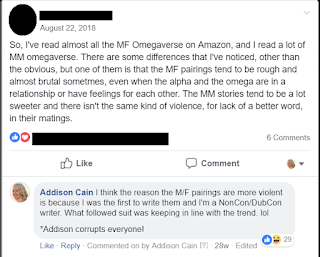 She asserts that "the similarities found between the two stories lie exclusively within their use of the A/B/O's recognized tropes" and "the only similarities between the Myth of Omega and Cain's Alpha's Claim were the persistent and dominant tropes found in all omegaverse fanfiction"
Asserts that Blushing misrepresented the similarities between the books. I feel this has been pretty thoroughly covered by the blog at this point, so I'm going to keep moving. This looks the same as section #2 to me - might need an actual lawyer to unpack the difference. There are no exhibits / evidence offered on this topic. Ellis asserts that Blushing and Addison interfered with her business relations and expectancies, causing her to suffer economic losses and damages. There are no exhibits / evidence offered on this topic. Looks the same as section #4 to me. There are no exhibits / evidence offered on this topic. Points 97 - 100 of the lawsuit allege that Blushing, Cain, and unidentified others defamed Zoey Ellis and spread malicious statements about her throughout the internet on multiple private and public forums. There are no exhibits / evidence offered on this topic beyond those that came up in the Factual Allegations section, which we've already covered. 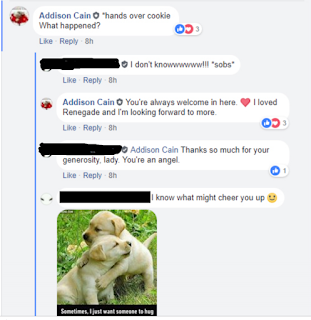 However, as a member of Addison's private Facebook group, I did a search on Zoey's name within the group, because I was curious to see if there was something I just hadn't seen before. What came up were readers recommending her book. The recommendations were made on January 24, 2018, March 29, 2018, April 23, 2018, and July 7, 2018. Blushing's DCMAs were filed in May of 2018. No derogatory comments were left on any of the posts that I saw and Addison didn't appear to have commented on them at all. Since several of the posts in the lawsuits exhibits are from Addison's group (see the Factual Allegations section above), I can only assume that there was access to this group by Ellis in one form or another, so the lack of evidence on this assertion is particularly puzzling to me. Points 101-103 allege that Blushing, Cain, and unidentified persons characterized Ellis' books in a false light. There are no exhibits / evidence offered on this topic. Point 104-107 allege that Blushing, Cain, and unidentified persons formed a conspiracy to misuse the copyright, stifle competition, and harm Ellis financially, as well as post defamatory statements and cast Ellis in a false light. There are no exhibits / evidence offered on this topic. I don't know if it's common to have all exhibits / evidence in the factual allegations section and not in the counts, but as a lay person, I found it weird to have so many counts making allegations without actually pointing to anything to substantiate them. This lawsuit was recently dismissed for lack of jurisdiction. 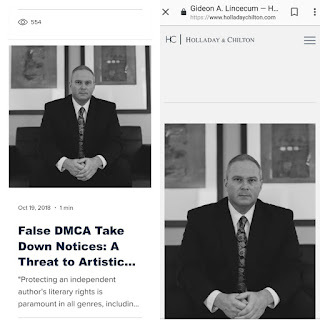 It was filed in Oklahoma where Draft2Digital is located (D2D is an online service we self-publishing authors use to disseminate our books to multiple platforms) and I believe the reasoning was that because D2D published the books and received a takedown notice, that would give the state it's located in jurisdiction. The court disagreed, and dismissed it due to lack of jurisdiction because none of those named in the lawsuit nor their main legal representation for the lawsuit actually live, work, or are otherwise connected to Oklahoma. I believe at this point Addison, who has obtained private counsel separate from Blushing Books, was also dismissed from the filing and is no longer being personally sued, although she has been subpoenaed for her private messages pertaining to Zoey Ellis / Zoey Ellis' books, etc. I'm assuming this is to look for evidence of the allegations made in the lawsuit. I believe Blushing Books is still named in the current lawsuit. So, I said I would get back to the timeline and we're just about there, but because I'd like to be able to just go through the timeline without pausing for screen shots and evidence, there's a couple more things to go over first. As part of the subpoena I just mentioned, Addison is turning over private messages. 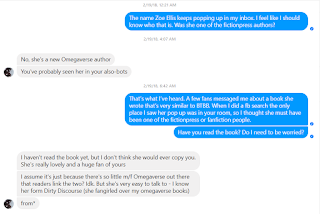 I already showed the one with Zoey Ellis which makes clear that Zoey had read BTBB and that Addison encouraged her to promote the book in Addison's Omegaverse Facebook group. 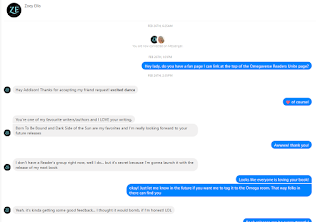 These next messages, shown here, are with Nora Ash, a mutual friend of the authors at the time, and show that Addison reached out when she first heard the plagiarism accusations from her readers, that she was reassured by Nora and encouraged to read the books - all of which will play into the timeline below. These are both part of the timeline I'd like to go over so I want to get them out of the way. 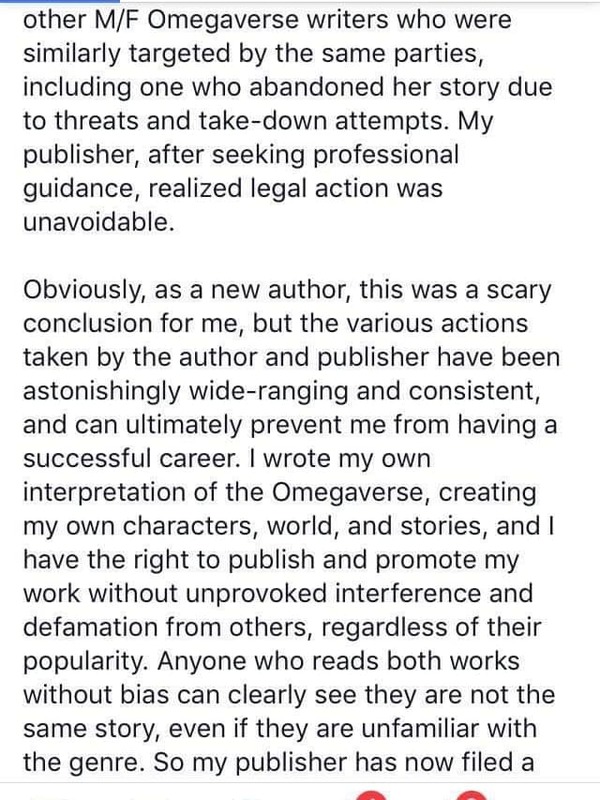 - Her public claim that Addison and Blushing asserted that Addison was the creator and owner of common tropes found in the Omegaverse, which we've already gone over earlier was not part of the DMCA takedown notices. - There is no evidence of delayed communication, threats of blackmail, or attempted intimidation included in the lawsuit, nor are any of those things mentioned in the lawsuit. 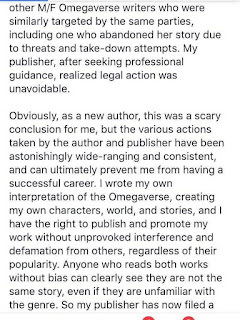 - No other Omegaverse writers have spoken up about the alleged threats or takedown attempts she references in this post, nor is this part of the lawsuit and no evidence has been provided anywhere. - Zoey Ellis is a self-published author, so when she says "My Publisher", she means herself - an advanced search on for Quill Ink Books on Amazon will show that Quill Ink Books publishes her books and only her books. Many of us self-published authors register a company for ourselves for legal and financial reasons, it's perfectly normal to do so. That being said, I'm not sure I've ever seen another self-published author state that her company is 'her publisher'. - The blacked out section is a link to a website about the lawsuit. The website does not do much more than provide the court documents for the case, but the documents provided do not retract Addison Cain's real name. 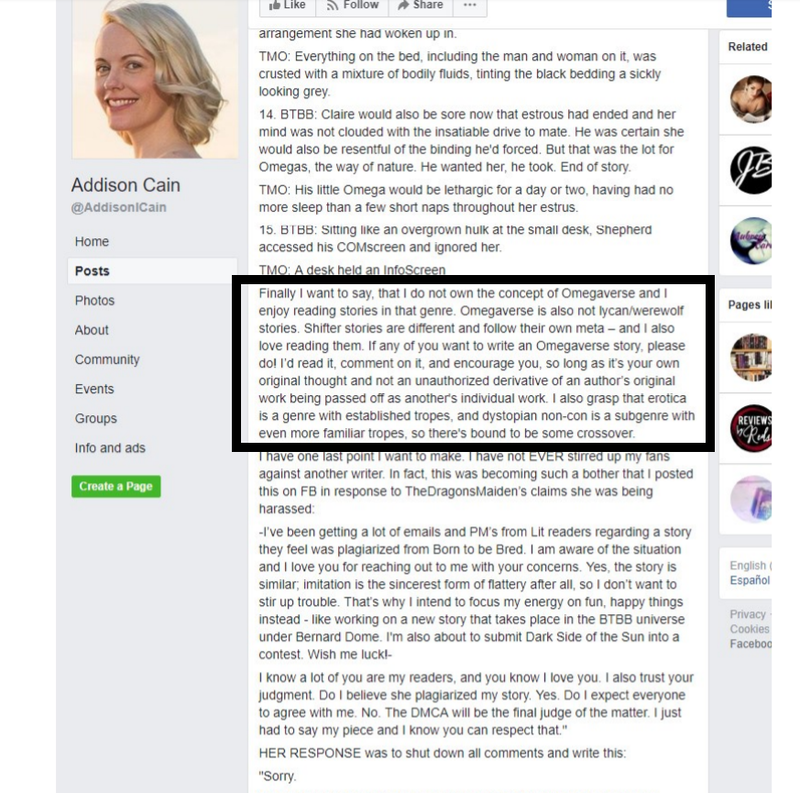 Zoey Ellis may very well not have checked the documents which were uploaded and may not have known that Addison's name was not retracted, but she (possibly unintentionally) doxed Addison Cain by using this Facebook post to promote the website. And let's talk about the website for just a second. There's a photo of a man on the main page, which turns out to be a photo of Zoey Ellis' Oklahoma legal representation, Gideon A. Lincecum. 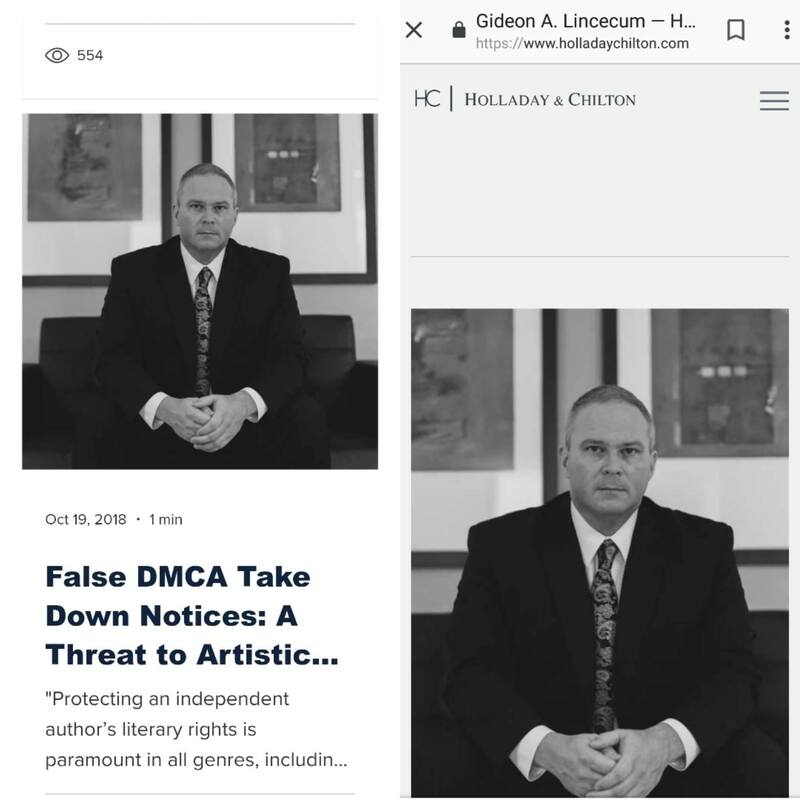 On the left is a screenshot of his photo on the website's main page, on the right is screenshot of his page on Holladay Chilton's lawyer website. From this, I can only draw the conclusion that Mr. Lincecum is connected to, or perhaps even the creator of, the website which doxed Addison. This afternoon when I checked the website, I no longer needed to actually download any of the court documents provided in order to see Addison Cain's real name - it was right on the main page of the website, right above Mr. Lincecum's head. Also, by checking the Pacer website, I discovered that the day after the lawsuit, which uses Addison Cain's real name, was filed, Zoey Ellis' lawyer filed a motion to refer to her by her psuedonym in all documents, protecting her real name. February 18, 2018 - Addison contacts Nora Ash as a mutual acquaintance of Zoey Ellis to see if she needs to be worried about reader claims that Ellis' work is too close to hers. February 20, 2018 - Nora contacts Addison to inform her that she's halfway through Ellis' book, it is not plagiarized, it does not seem particularly inspired by Addison's book, and the only similarities are the tropes. 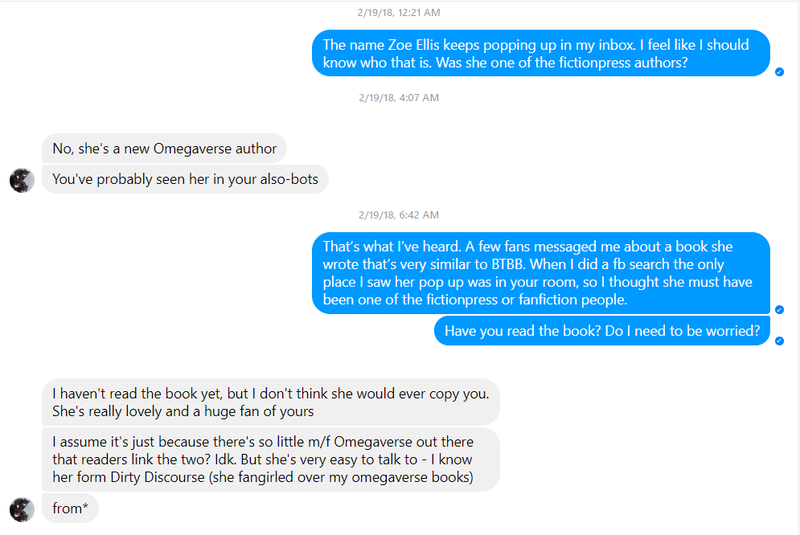 February 26, 2018 - Addison contacts Zoey Ellis, asking for a page that she can pin in her Omegaverse Facebook group so that readers can find Ellis' Omegaverse books more easily. April 14, 2018 - Nora contacts Addison to ask if she's read CTC yet and if she has, if she can make a statement about it not being plagiarism. Addison responds that she has not yet read it. April 16, 2018 - Addison messages Nora that after Blushing Books also pushed her to read CTC, she has read it and feels follows her own book's plot very, very closely. 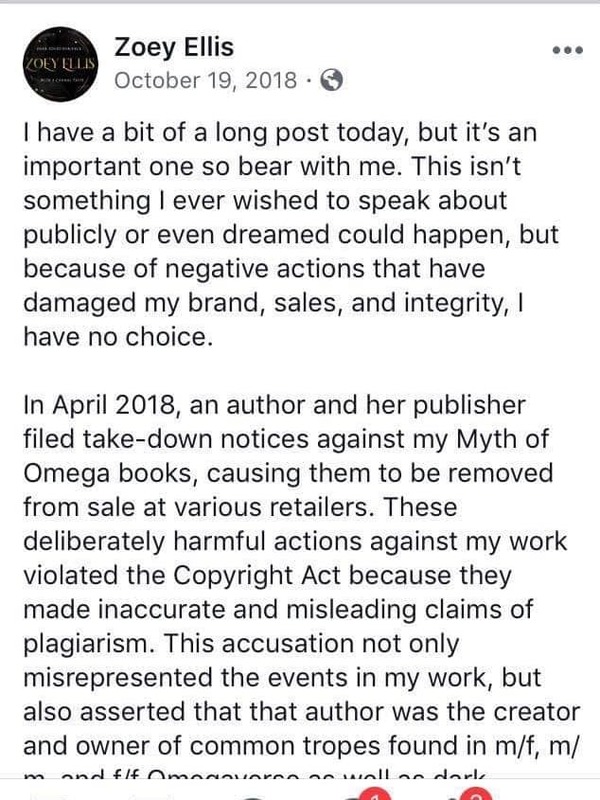 April 19, 2018 - Barnes & Noble sends Zoey Ellis notice that a DMCA on her series as a whole has been filed (Exhibit 5). I can't tell when any others were sent by the Exhibit but I think we can assume it happened around this time. May 29, 2018 - Zoey Ellis' legal representation contacts Blushing Books' legal representation with a copy of their May 17th letter and advises they will pursue legal action against Blushing Books if they do not. November 26, 2018 - Blushing Books submitted a filing to dismiss the case for lack of personal jurisdiction and improper venue as well as dismissing the contents of the case. March 11, 2019 - A Notice of Subpoena to take Addison Cain's deposition and obtain documents from communications between her and Blushing, as well as social media communications, private messages, posts, etc. 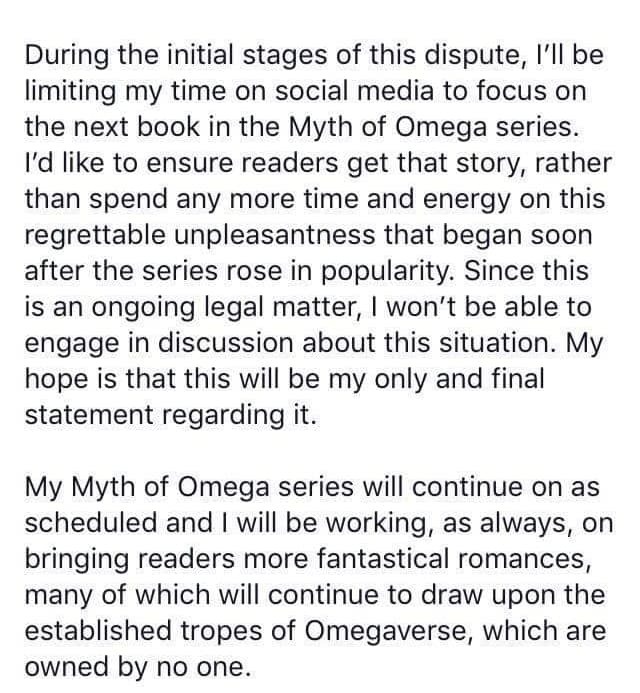 that in anyway reference Zoey Ellis / Myth of the Omega is filed for the lawsuit that continues against Blushing Books. March 11, 2019 - Addison Cain writes a blog post about what is going on. 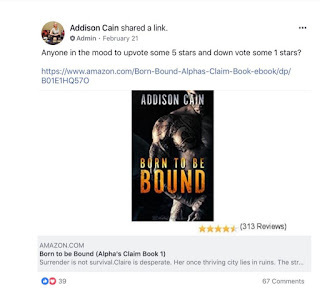 March 28, 2019 - Addison Cain will be deposed in court for the lawsuit that continues against Blushing Books. I know that's a lot. Thank you for sticking with me through it all. I actually tried to keep this blog post as short as I could and there are a million different tangents I could have gone on but hopefully this covers all the basic questions people have and clears up any misinformation floating around out there. While it will be up to the court to decide if there have been substantial similarities and nonliteral copying or if this was a case of DMCA abuse, everyone has their right to an opinion and I hope that this post will serve as a place where people can come, look at all the information, and form their opinion based on the merits of all the information provided (which I've done my best to substantiate). If you think you know of better stories / books to be put up for analysis against BtBB, please comment and let me know! It's actually more beneficial to do the analysis with stories / books that are more closely aligned. I encourage everyone to check out all the stories and books referenced in this post - I'm looking forward to going back and diving back in to read for pleasure!